The federal government has awarded contracts worth $28 billion for the building of 28 vessels — naval warships and civilian (Coast Guard) ships both — that will modernize the country’s aging sea-faring fleet. Halifax- based Irving Shipbuilding Inc. will build the warships. 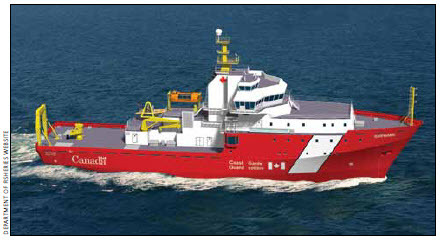 Vancouver Shipyards Co. Ltd. will build the Coast Guard ships. The new vessels will vastly increase Canada’s ability to patrol Arctic waterways. Here’s what the biggest shipbuilding program in the country’s history will provide. and establish a strong federal presence in the Arctic. Details: These offshore fisheries science vessels will be commissioned to replace four aging Coast Guard ships on the east and west coasts that, according to the Fisheries and Oceans department, provide a platform from which critical scientific research and ecosystem-based management can be performed. Details: These two joint support ships will be built for National Defence, with an option for a third, to help bolster the navy’s warships, permitting them to remain at sea for significant periods without going to shore for fuel. 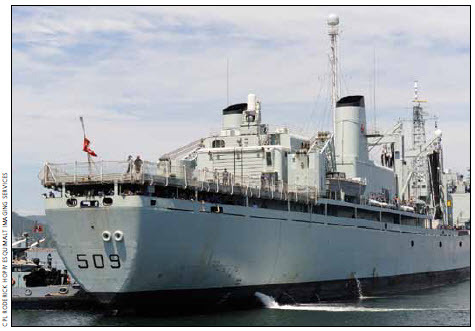 The new ships will replace two Protecteur class auxiliary oiler replenishment vessels, like the one shown here at left, very large ships that hold extra fuel to replenish frigates and destroyers. 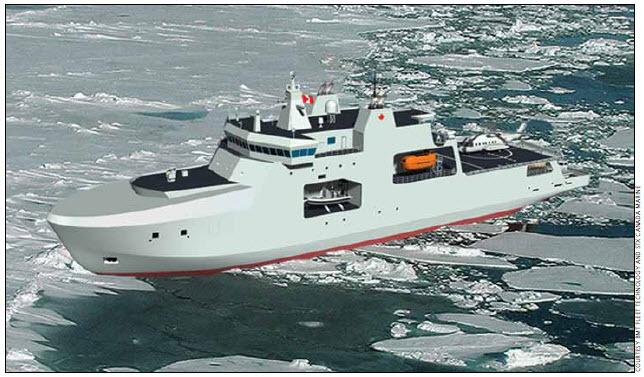 Details: Six to eight Arctic/offshore patrol ships, like the one shown in the rendering above, will be commissioned. They are a new complement. These ships will conduct armed sea-borne surveillance in Canada’s waters, including the Arctic Ocean. 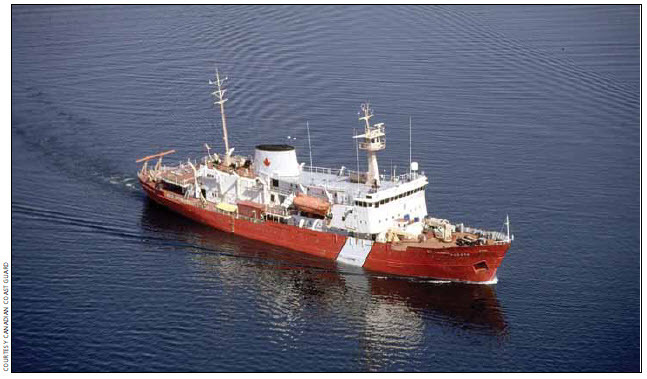 They are meant to enhance Ottawa’s ability to assert Canadian sovereignty and provide surveillance and support to other government departments, DFO and the Coast Guard. 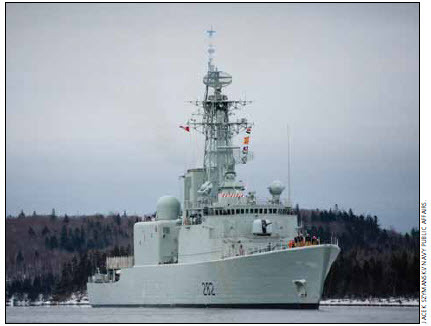 Details: These Canadian surface combatants will replace three destroyers, such as the HMCS Athabaskan, shown here, and 12 frigates used by the Royal Canadian Navy. The destroyers are the larger of the warships in the naval fleet and are used for command and control in the operating theatre. They are run by 280 crew members, including air detachment. The frigates are smaller, more nimble in the water and considered the backbone of naval operations — holding crew of 225, including air detachment. While all the new vessels will be based on a common, single-hull design that is the same size, the frigate and destroyer variants will be fitted with different weapons, communications, surveillance and other systems, the details of which have yet to be determined.